GLENDALE, Calif. – (December 1, 2015) – Today, Disney Interactive introduced a new set of six playable limited edition Star Wars™ Light FX character figures for Disney Infinity 3.0 Edition. The collectible figures have Lightsabers™ that light up when placed onto the Disney Infinity Base and include Luke Skywalker and Darth Vader from Star Wars™ Rise Against the Empire, Anakin Skywalker, Yoda and Obi-Wan Kenobi from Star Wars™ Twilight of the Republic and Kanan Jarrus from Star Wars Rebels™. 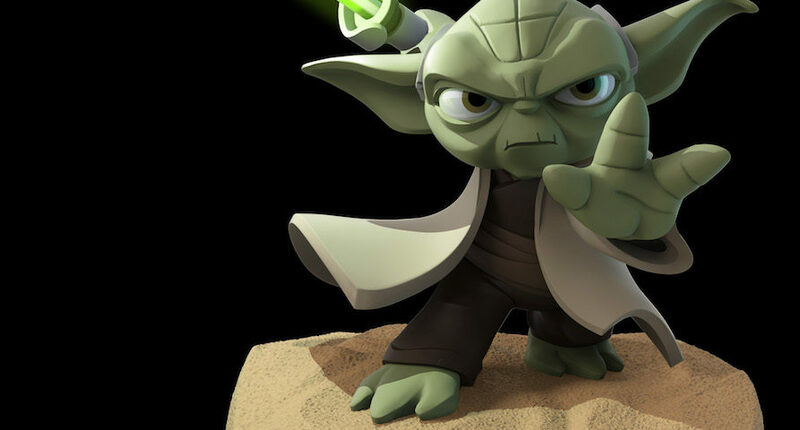 The Disney Infinity 3.0 Edition Starter Pack, which includes the Star Wars™ Twilight of the Republic Play Set, is currently available in major North American retail stores for the PlayStation®4 and PlayStation®3 computer entertainment systems, Xbox One and Xbox 360 and the Wii U™ system from Nintendo. Disney Infinity 3.0 Edition is rated E10+ with Cartoon Violence by the ESRB and developed by Avalanche Software in partnership with Ninja Theory, Sumo Digital, Studio Gobo and United Front Games. Additional Play Sets, Figures, Toy Box Expansion Games and Power Discs are available and sold separately. Thank you to Disney Interactive for the press release and images. Next article Rebels Reactions: "Blood Sisters"